A healthy, Sunnah suhoor, a healthy mind set. Take Suhoor as there is a blessing in it” [Bukhari and Muslim]. 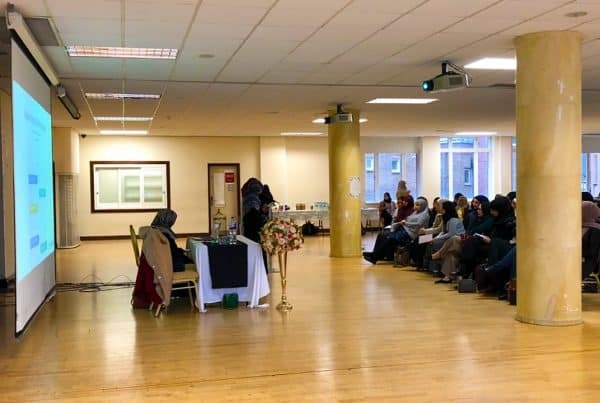 Whilst Ramadan is a period of abstinence, self-control, reflection and personal development, it is also the perfect opportunity to improve our mental wellbeing. This Ramadan, starve your stomach and nourish your mind with Inspirited Mind’s Sunnah Suhoor challenge. 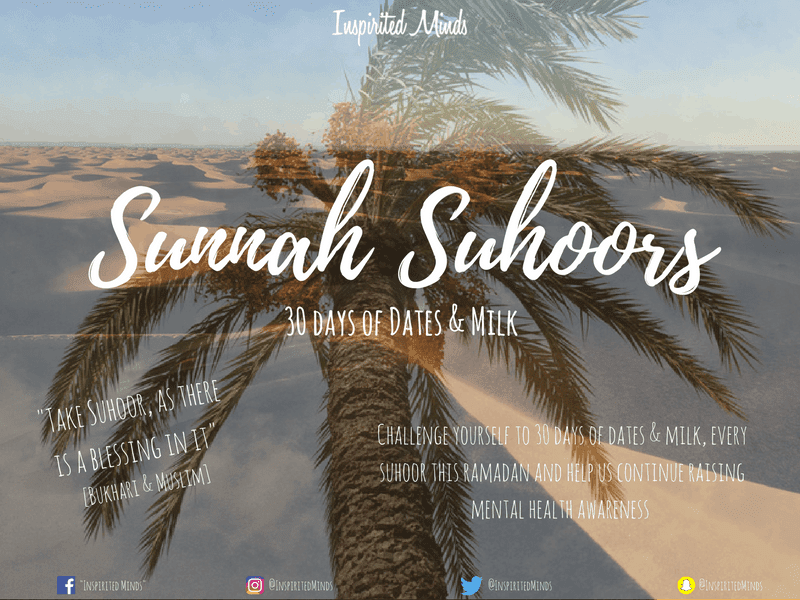 Abandon the eggs, toasts and left-over samosas, and join us in following the Beloved Prophet Muhammad (salalahu alayhi wa salam) in a simple and incredibly nutritional suhoor: an odd number of dates and a glass of milk. Beauty lies within simplicity. It is narrated by Abu Hurayah (may Allah be pleased with him) that the Messenger of Allah said: “The best suhoor for the believer is dates.” [Abu Dawood, Sahih al-Targheeb]. Packed with iron, potassium, vitamins A, B and K, glucose, fibre and calcium etc etc there’s no wonder the Prophet Muhammad (salalahu alayhi wa salam) recommended it. After all, a healthy lifestyle is a step closer to having a healthy mind set and in turn, better mental health. We welcome you, your family and friends, to take part in this 30 day challenge. 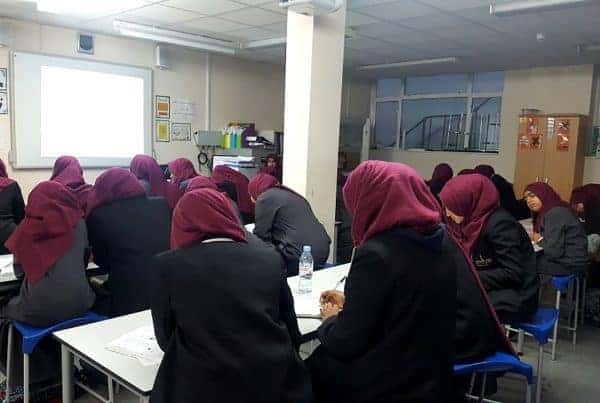 Help spread the message of mental health awareness in a family-fun way by creating a JustGiving Fundraising page and help tackle the effects of food and mental health this Ramadan! 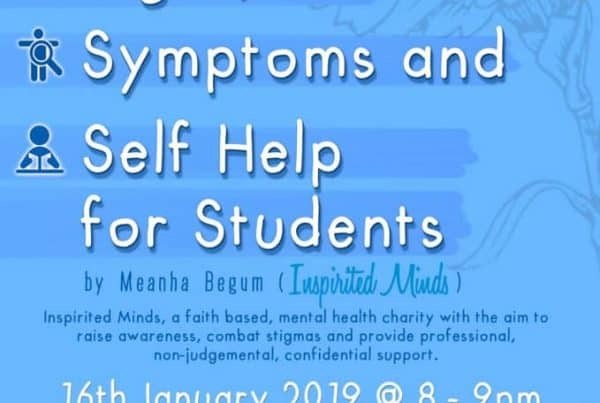 This 100% donation policy means your donation will be split between campaigning against mental health stigma, raising awareness, and providing access to support services, to those who need it! Next PostArt therapy: what and who?